The U.K. market for commercial property has just been hit with another massive Brexit aftershock. Four more big asset management firms have halted trading in commercial property funds in the past 24 hours, the latest sign of turmoil since the U.K. voted to leave the European Union on June 23. A total of seven funds have been frozen this week and more than half of the £25 billion ($32 billion) held in investment products of this type is now under lock and key. The funds are heavily exposed to offices and other prime commercial property in the U.K. that can't be unloaded quickly enough when nervous investors want their money back. Henderson Global Investors, Columbia Threadneedle Investments and Canada Life are the latest to suspend operations. A fourth investment firm, Aberdeen Fund Managers, slashed the value of its fund by 17% and temporarily halted withdrawals so investors would have a chance to reconsider decisions to pull their money. Henderson said it decided to pull the plug on its £3.9 billion ($5.1 billion) fund because of "exceptional liquidity pressures" caused by uncertainty following the referendum. Uncertainty in the property market has helped push the pound as low as $1.28. Shares in house building companies have also been slammed, with Barratt Development and Taylor Wimpey (TWODF) plummeting more than 35% since the U.K. referendum. Berkeley Group shares have lost about 30% over the same period. Analysts say the tremors in the sector are being fueled by huge uncertainty about the economy ahead of Britain's divorce from Europe, and the possibility that foreign investors and companies might abandon the U.K.
Great Portland Estates, a major central London property investor, has warned of continued turbulence. "We can expect London's commercial property markets to weaken during this period of uncertainty," the company said Thursday. It's a remarkable shift in sentiment for a market that once appeared unstoppable. In the wake of the global financial crisis, ultra-low interest rates and a flood of foreign money pushed prices through the roof, particularly in London. 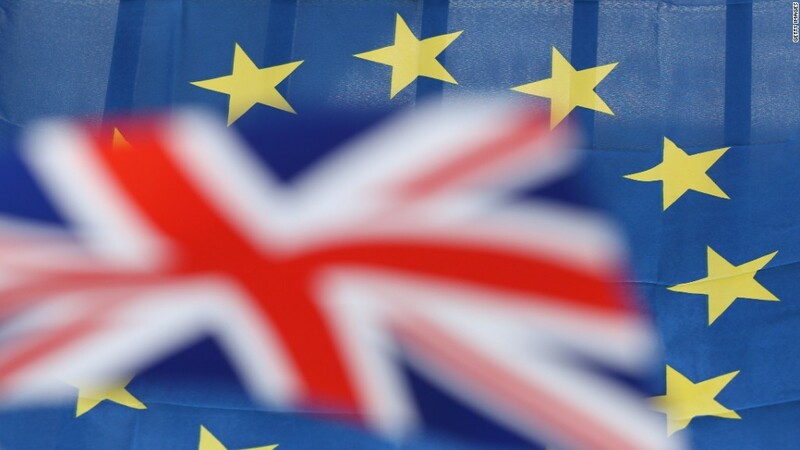 "Brexit may very well bring an end to the trend of real estate asset appreciation in the U.K., and London in particular, over the past several years," said S&P Global Ratings analyst Marie-Aude Vialle. New data show that storm clouds were gathering in the lead up to the EU vote. Bank of England chief Mark Carney said Tuesday that commercial real estate transactions had fallen by 50% from their peak last year. He said that residential real estate activity has also "slowed sharply."